HankookNFC Phone2Phone pay is a payment service using Samsung Pay that can be used for small business owners, micro-merchants, delivery sales. With Phone2Phone pay, you can pay with Samsung Pay & EMV Contactless card through Smartphone owned by Micro-merchants without a separate payment terminal. can be utilized as follows. Available with simple franchise application. By installing App on your smartphone in use, You do not need to purchase a separate device. Can be used like POS terminal after installing P2P pay App. 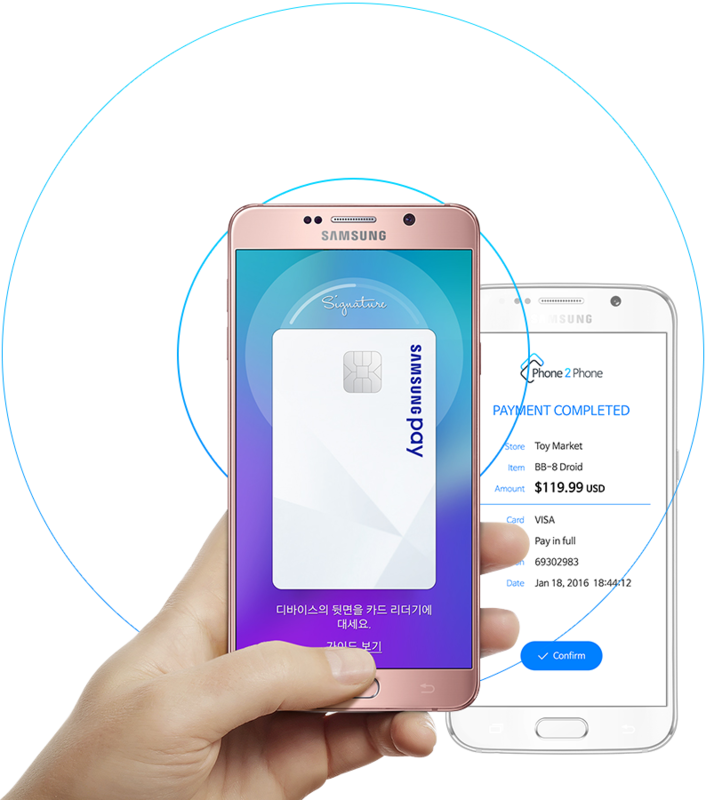 Credit card, Check card, Samsung Pay payment are available with smart phone NFC function. Issue eco receipt using NFC (sending SMS and E-mail is also available). Compatible with Bluetooth printer, Can issue paper receipt. No additional management and communication costs. compared with POS terminals. 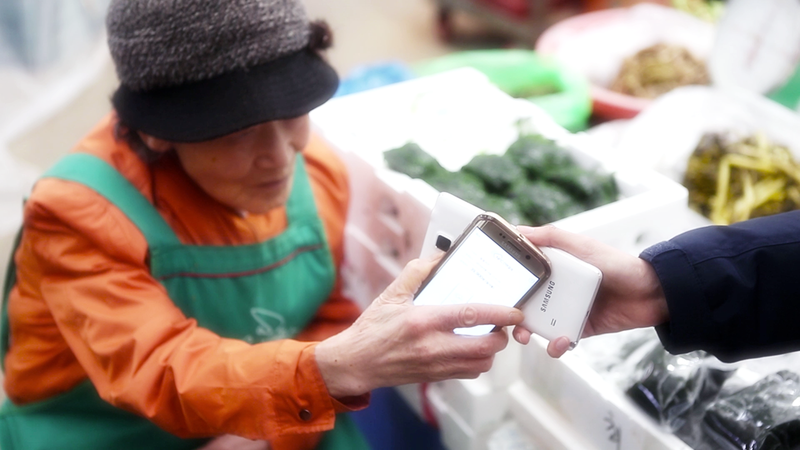 Utilizing P2P Payment, Micro-Merchant who haven't owned POS Terminal can make his own smartphone accept Samsung Pay by installing App of HankookNFC Inc.
By eliminating the inconvenience of the payment and delivery method, which had to have a pre-payment or a separate payment terminal, Phone 2 Phone Pay, which does not require operation management, can reduce management costs and provide smooth payment service.